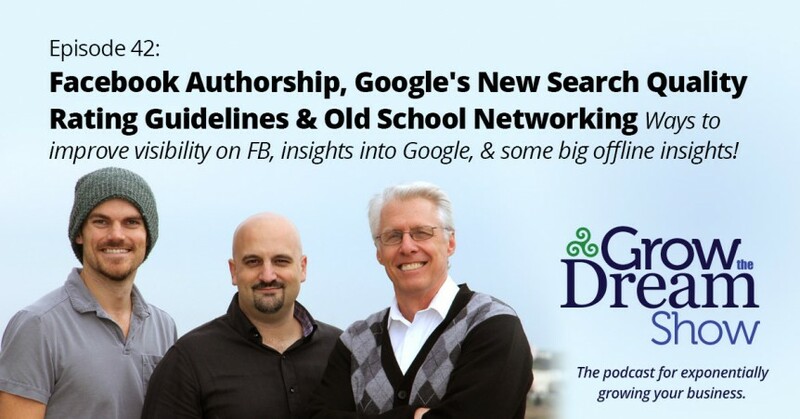 Facebook introduced Facebook Authorship to help promote your Facebook page from your web content. Is it like Google’s failed experiment? Well…not really. Speaking of Google, it has released a full version of its new search quality rating guidelines, which takes a somewhat non-obvious tack in determining those ratings. It’s not about the algorithm, it’s about the searcher. And we also discuss the value of creating networking relationships and marrying old-school shoe leather with new-school digital platforms. Happy Thanksgiving! (for our US listeners!) We’re thankful for YOU! Josh relates the story of redirecting thepitch.vc to thepitch.fm, including some of the concepts we discussed recently on our Webmaster Tools (“Search Console”) webinar. Sign up to gain access to the replay at BaconAndCats.com. Rod gives an account of recent local EDC efforts to bring the “life sciences” industry presence to the public eye, and all the benefits it brought to the 100+ companies involved directly and indirectly in that sector. If you want to check out the campaign, visit the Health Innovation Project website. You may not yet be using Facebook Authorship, but if you implement it, your Facebook page (or profile, if you choose) will always accompany your content when it gets shared on Facebook (even if it wasn’t shared from your Facebook page.) Instructions to set it up on multiple CMS systems here. If you use WordPress, Yoast SEO already supports this. WordPress now powers 25% of all websites. Full Content Management System rankings here. We’d like to thank Audible for their support of the Grow The Dream Show. 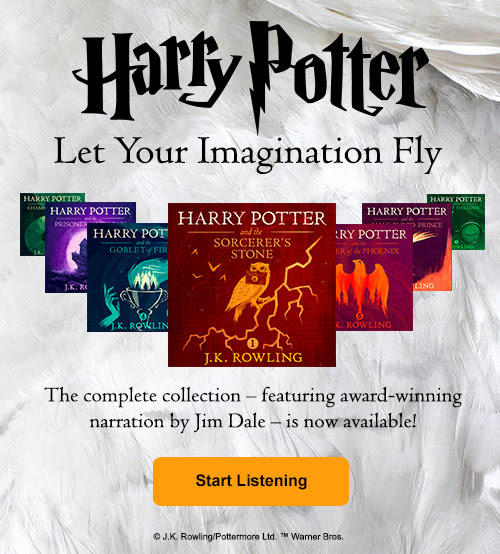 You can get any of the Harry Potter titles absolutely free (or any other audiobook of your choice) absolutely free by visiting http://audibletrial.com/dream.